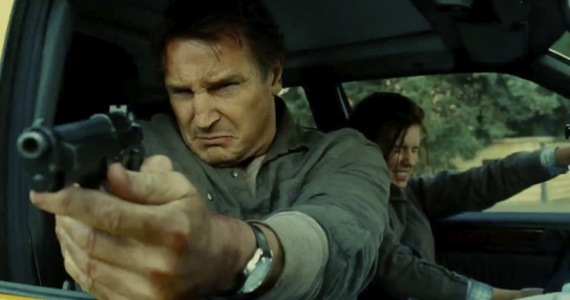 As a retired CIA agent with a very particular set of skills, Bryan Mills (Neeson) stopped at nothing to save his daughter Kim (Grace) from Albanian kidnappers in the original Taken. Now two years later, the father of one of the deceased kidnappers (Sherbedgia) has sworn vengeance upon Mills and his family. After he completes a job in Istanbul, Bryan’s daughter Kim and ex-wife Lenore (Janssen) meet him for a family vacation. Shortly after arriving Bryan and Lenore are taken hostage. Bryan must enlist Kim to help them escape, and then use the same advanced level of combat tactics to get his family to safety while systematically taking out the kidnappers one by one. To say that Taken 2 is more preposterous than the original Taken would be a bold statement considering how over the top the first one becomes, but Taken 2 is on a whole different level. The script for Taken 2 feels more like a plot outline that was filled in as the film went along, and considering the entire third act was changed to remove a certain character from pivotal scenes and add them back in others seems to back this point. The cast actually does decent work with the material given to them, given that character motivations and actions designated to them by the script seem to make little sense at all. The fact that a still traumatized and jittery Kim when told by her father to go to safety declares she won’t because she is going to rescue him is completely against type. 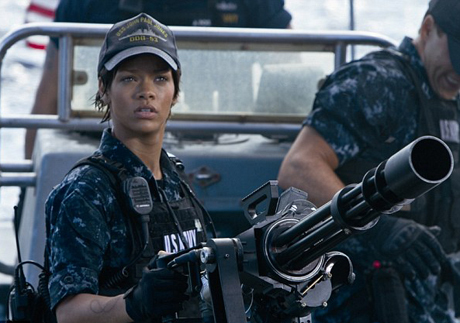 But despite this she grabs a gun and some grenades and under direction from dear old dad takes off to help. Janssen spends most of her time fading in and out of consciousness during the film, a lot of her work ending up on the cutting room floor. 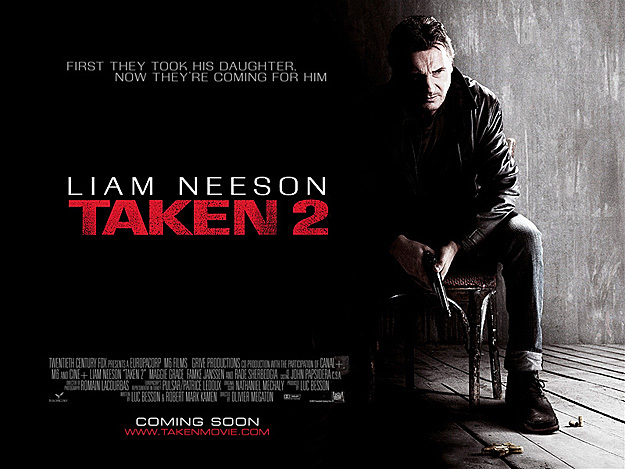 The biggest issue with Taken 2 is that Olivier Megaton cannot deliver the goods action-wise behind the camera as well as Pierre Morel did in the first Taken. Morel had already directed the action classic “District B13” in his native France before helming Taken and his flare and eye for action is really missing here. Neeson also seems to have slowed down a step or two in the last four years. Whether it’s the staging, Neeson’s ability or a combination of both that is the cause, Neeson’s Bryan Mills between the two films seems to have aged as much as 1980’s Steven Seagal compared to 2012 Steven Seagal. The moves may be there but the speed seems stuck on slow motion. It also appears that Megaton was a huge fan of 2011’s “Drive” as he stages an entire sequence, complete with running timer, to the Chromatics ‘Tick of the Clock’ off the “Drive” soundtrack. Unfortunately the ensuing car chase sequence is nowhere nearly as well staged as any of the sequences in director Nicolas Winding Refn’s masterpiece. 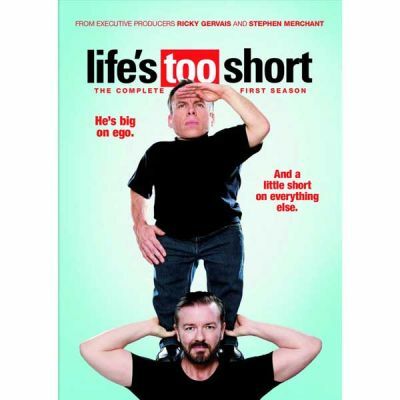 The Blu-Ray is packed with special features as it contains the theatrical and extended versions of the film. The disc also includes more deleted scenes that did not make it into the final cut as well as an ‘alternate ending’ that is actually the entire original third act described earlier. The extended version contains a pop up trivia track entitled ‘Black Ops Field Manual’ and there is a fetaurette on Mill’s weapon supply case narrated by Leland Orser’s Sam character entitled ‘Sam’s Tools of the Trade’. Lastly there is a FX Movie channel interview with Neeson about his character and the film. Ultimately Taken 2 falls desperately short of the expectations set by its predecessor’s tongue in cheek, action packed bucket of fun. 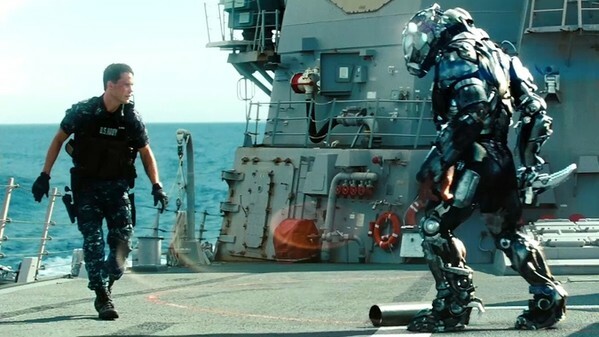 Action sequences that play less realistically and a script that feels like it was finished on the fly add up to a watchable film but not a great film. Even suspending disbelief and playing along with the film, the end result cannot come off as anything but a disappointment. Taken 2 is a mild non-recommend. I’m sure that I’m not alone when I say that since Taken (2008), Liam Neeson has a special place as one of the baddest men on the planet and I mean that in a good way. Let me try to explain how bad he is. If Liam Neeson wanted my last fruit cup, I would give it to him. If he picked a fight with me, I would punch myself in the face repeatedly, while also apologizing profusely for the un-Neeson-like strength of my punches. If I heard a rumour from a friend of mine who was notorious for making up rumours, and the rumour was that Liam Neeson didn’t like my review of The Grey…then I’d probably look into personal funeral options, immediately. Anyone know the number of a good undertaker? 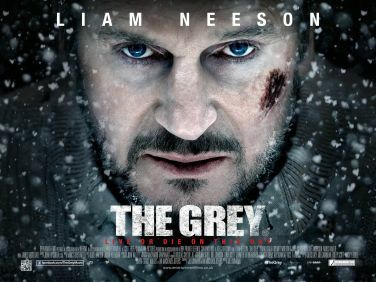 The plot of The Grey is quite simple and potentially very effective. A group of men contracted to work in Alaska are on their way back home for a two-week vacation. All that’s left between them and their destination is a plane ride that turns bumpy and eventually crashes in the great white middle of bloody nowhere. Most of the passengers have perished in the crash, but a small group of men find themselves in the unwelcoming position of having to collect what few mental marbles they have left and think of a plan that could lead them out of this wintery hell. A troubled but knowledgeable man named Ottway (Neeson) proves to be the best leader out of the group of survivors. However, even if they follow Ottway and listen to his every order, there is still no guarantee that these men will survive to see their families again, let alone the morning. If the cold doesn’t kill them, then a pack of bloodthirsty predators pursuing them will certainly try. It seems like these tired and hungry humans are a poor combative match-up against these deadly beasts. I thought that The Grey started out perfectly. Neeson’s character is cold, hardened, mysterious, and deadly, just like the environment that the group of survivors find themselves in. 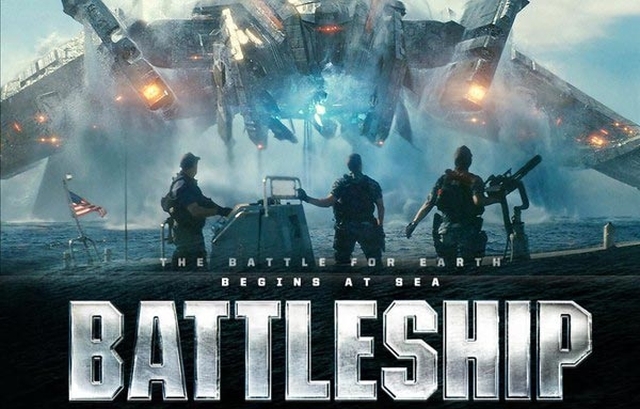 The film gets right to the point as it feels like the plane crash happens within the first 15 minutes of the film. Also, there are some excellent dream sequences which effectively utilize the common intrusion of sensory experience on our dreams. I can’t believe I’m actually praising dream sequences as they are usually one of my least favourite narrative devices, but at the beginning of The Grey they really are quite impressive. Unfortunately, this pretty much sums up what I think are the positive elements of the film. I’ve heard complaints about The Grey regarding the story’s believability, but I don’t find this to be a very valid criticism. Sure, a lot of what happens in The Grey is pretty outlandish, but it could happen, and it’s also not a discovery channel survival documentary…it’s a movie. My personal problem with The Grey is that I didn’t care about the fate of the characters after about twenty minutes. This was mainly due to some very questionable plot decisions that may leave you scratching your head. I think The Grey uses a different type of logic than the one I’m familiar with. So often throughout the film, obvious decisions for the characters were anything but obvious to me. A particular scene on the edge of a cliff really made me wonder if the characters had smoked some exceptionally powerful crack before arriving at their conclusions. Finally, the editing during the action sequences derailed much of the excitement for me as I tried to figure out who or what I was looking at. From what I could tell it seemed like the filmmakers used a combination or CGI and puppets for the predators. It was nice to see something besides CGI being used, but unfortunately it wasn’t very effective as the most often used puppet seemed to be a head with sharp teeth that would literally fill the screen during many of the attack sequences, adding to the confusion of these scenes as it was impossible to see anything else. 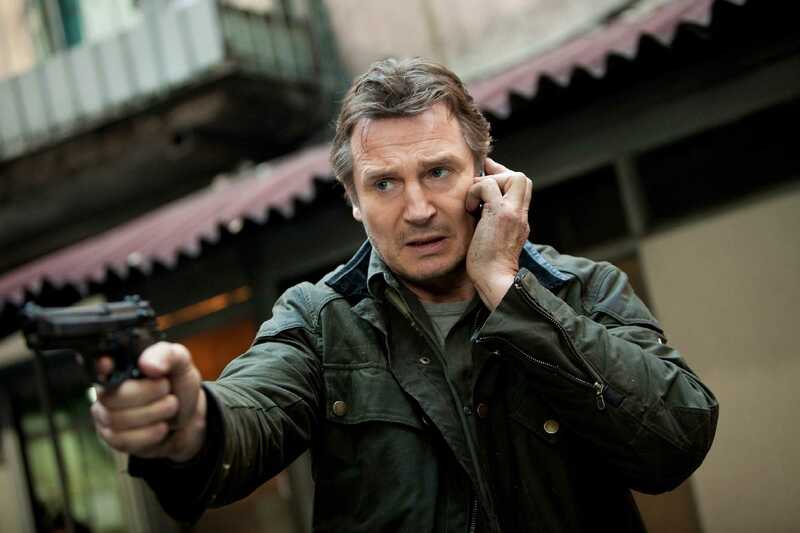 I wish I could have written a more positive review for this film; I was very excited for its release and as I have said, I’m a big Liam Neeson fan, but some questionable decisions with the script and some confusing editing during the action sequences make it difficult to be very excited to watch this one again.